Get an unbeatable deal on Hedgeye Pro (our research bundle featuring all five Hedgeye Macro products). This is a limited time offer. Editor's Note: Below is a brief excerpt and chart from today's Early Look written by Hedgeye CEO Keith McCullough. Click here to learn more. 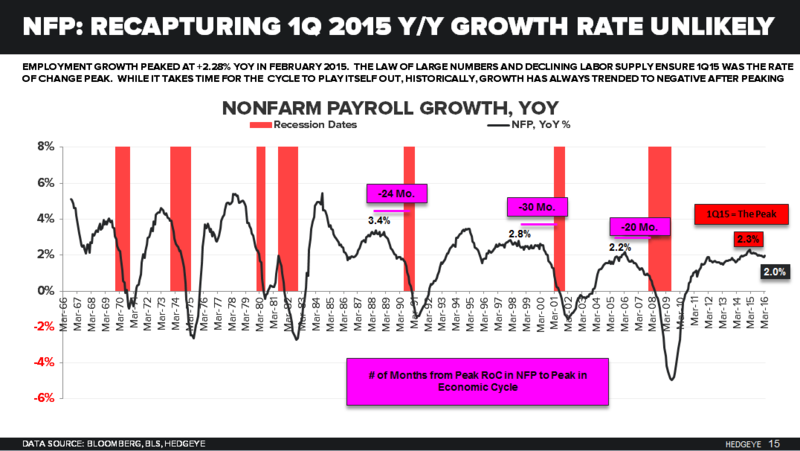 "... if NFP (non-farm payrolls) ramps to a rate-of-change acceleration ABOVE last year’s peak growth rate (+2.3% year-over-year NFP growth), my conviction on US #GrowthSlowing could fall below 66%, but would have to TREND that way." CHART OF THE DAY: What Does The Data Say?